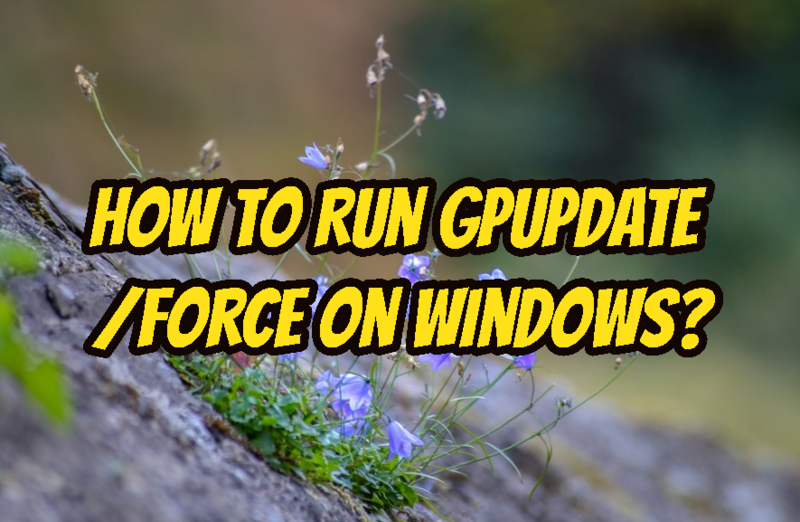 gpupdate command is used to update Group policies in Windows operating system Domain. There are different options to use with the gpupdate but one of the most used option is /force which will reapply all policy settings. We can force to reapply all group policy settings with the /forceoption. The default behavior without/force` option is only update changed policies. As we can see from screenshot User and Computer policies are updated successfully. If we want to force and make the system restart or reboot we should provide the /boot option next to the /force option like below. We can also log off from the current session or account after updating the group policy forcibly. We will provide the /logoff option after the /force option like below. Updating group policy may take some time or run forever if there is a problem. This problem can be a network or domain related problem. Especially in remote branches network problems are very popular. We can set a time which will stop the update if it is not completed. We call this as timeout and use /w option and provide a time. In this example, we will wait for 120 seconds in order to complete a group policy update. gpupdate command can be used in PowerShell too. We can use -force option like below with Invoke-GPUpdate command. How To Remove Untracked Files In Git?